Hen and Chickens Fern frond (Asplenium bulbiferum). Bright green. 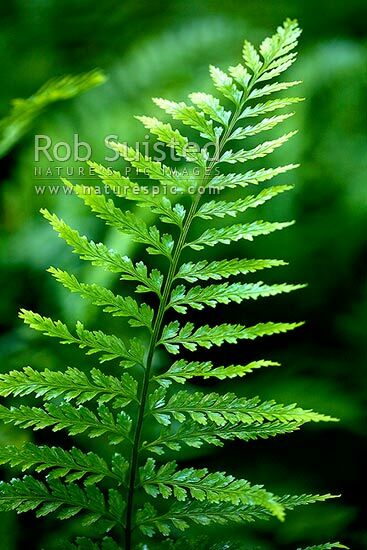 NZ native, New Zealand (NZ), stock photo.